Here’s something we didn’t know about Steve McQueen: He liked camping. We know it’s true because his one-of-a-kind camper van hits the auction block Friday. A bit more macabre — it’s the last vehicle he rode in before dying of cancer. It’s no secret that McQueen was fond of buying cars, bikes, trucks, and planes on a whim. 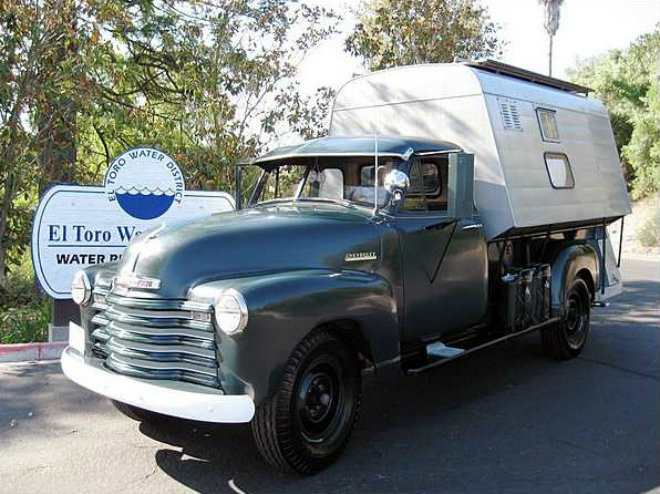 According to his wife, Barbara Minty McQueen, he snagged this 1952 Chevrolet 3800 pickup camper conversion in exactly that way. The Chevy has an inline-six mated to four-speed transmission and a one-off aluminum sleeper section, with a double-sided bed and plenty of storage. It isn’t much to look at, but the real story is where it figures into McQueen’s history. The truck carried McQueen to the airport for a flight to Mexico for what proved to be his final surgery before dying of cancer. He shared the ride with the Rev. Billy Graham, who answered McQueen’s questions about the afterlife as the two rode to Ventura County Airport on November 3, 1980. McQueen died four days later. For a guy that owned both the green Porsche 911 and the Ford GT40 from his movie Le Mans, along with a Chrysler Imperial, Hudson Hornet, and a Willys Jeep, the Chevy camper fit in nicely with his eclectic tastes.